People can’t seem to agree on anything these days, but can we at least all acknowledge that the Oldsmobile Vista-Cruiser—with its raised Skylight-equipped roof—is one of the greatest looking station wagons ever? 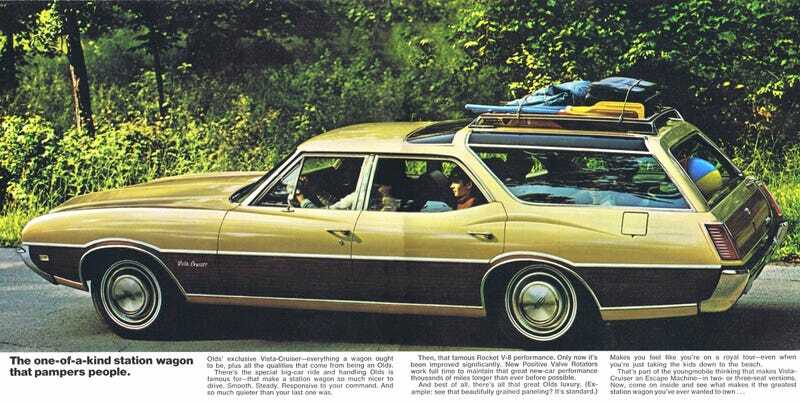 Especially this 1969 model, which came standard with woodgrain, and, of course, a big V8 and rear-wheel drive. What more could anyone want from a three-row wagon?